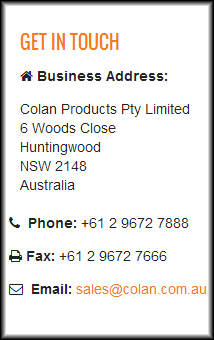 Colan's Composite fabrics are renowned globally for their quality. We are a major global supplier and deal with clients on every continent. While we are able to ship almost anywhere on the globe, our E-Commerce facility currently does not support overseas shipping. For all International orders and enquiries please contact our International sales department directly for further assistance.